view from deadman’s main street to buildings. Photographers driving about an hour west of Kamloops British Columbia, along the Trans Canada Highway 1, past Savona, and past the turn to Deadman’s Creek, will discover a neat, little gem situated just off the road. All they have to do is watch for a big, home-made sign positioned on the side of the road, amidst the wide, low, rolling-hilled, sagebrush-filled landscape that declares, “Deadman Junction”. At first glace that sign marks what looks like the remnants of an old town. There are already plenty of decrepit structures left decaying along that stretch of highway and travelers might be hesitant to stop because it looks like it might be, like so many others, private property, and I expect many readers have been run off occasionally by landowners intent on preserving their privacy. 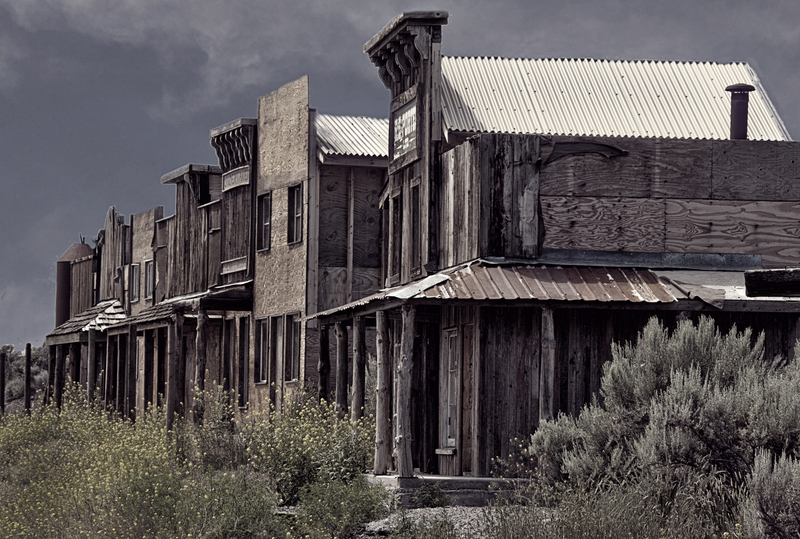 However, my suggestion is to slow down and stop because this is a camera-waiting, ready-made, western movie set that is definitely not restricted to private invitation and where everyone will be welcome. 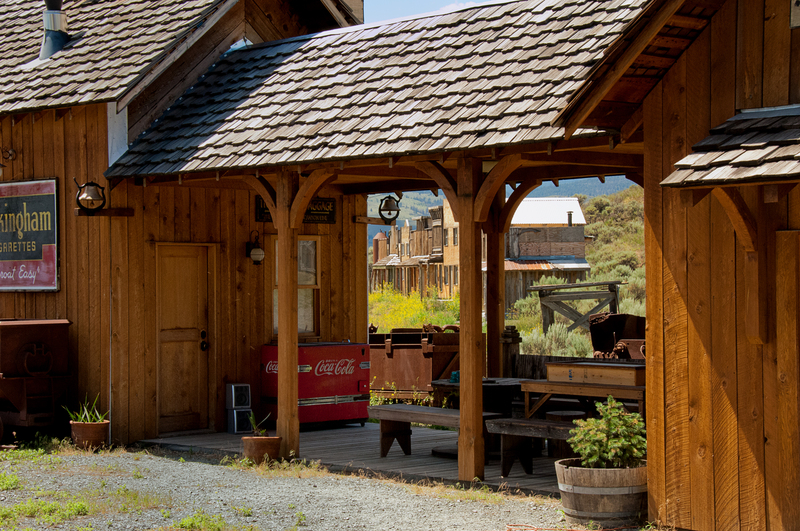 Owned by dedicated wild-west enthusiast Matt Sandvoss, the partially constructed old-west replica is a perfect place for any respectful photographer that wants to work with western lore and old buildings. 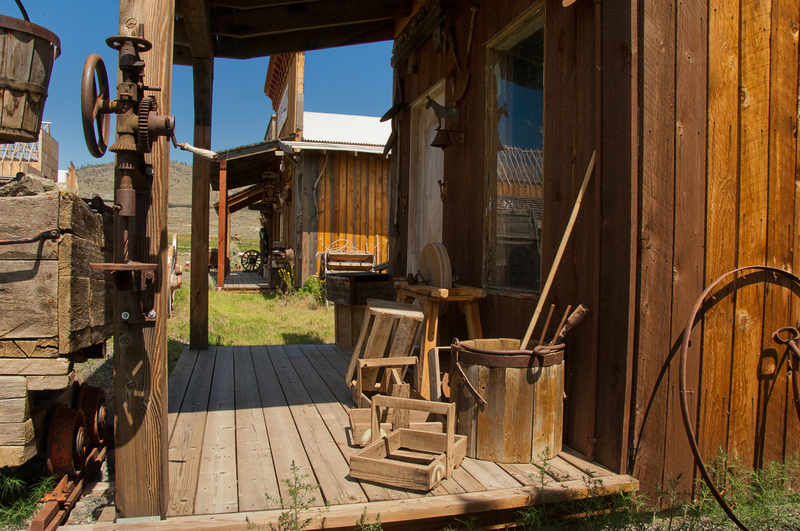 Sandvoss, an enjoyable storyteller, guide, and visionary in his pursuit to construct this copy of an Old-West town in a remote part of British Columbia, is an eager, willing, and immediately likeable host. When I arrived there were motorcycle travelers from Alberta, and a family from England, with both groups enjoying his commentary on the movies that had been filmed there and his ideas for the town’s future. He was pointing out features, western items he had collected, and was adding interesting anecdotes on each. Although I was mostly involved in my personal photographic quest through the photogenic location, I did hear him mention the movie “The A-Team”, and that actor Harrison Ford had been there. I think that is great, having just found the place I’d hate to see in fall into disrepair, and movies will give Mr. Sandvoss the funds to not only maintain it, but also to add more buildings (for us to photograph). Photographically the location is almost captivating. The landscape is wide and rolling with almost none of the modern trappings like wide parking lots, concession stands and electrical power poles that usually come with roadside attractions, and when one does see a power pole or something else that gets in the way, it is easy to find a different view. I wandered back and forth, there was so much to photograph that I found myself continually returning for another look or angle. 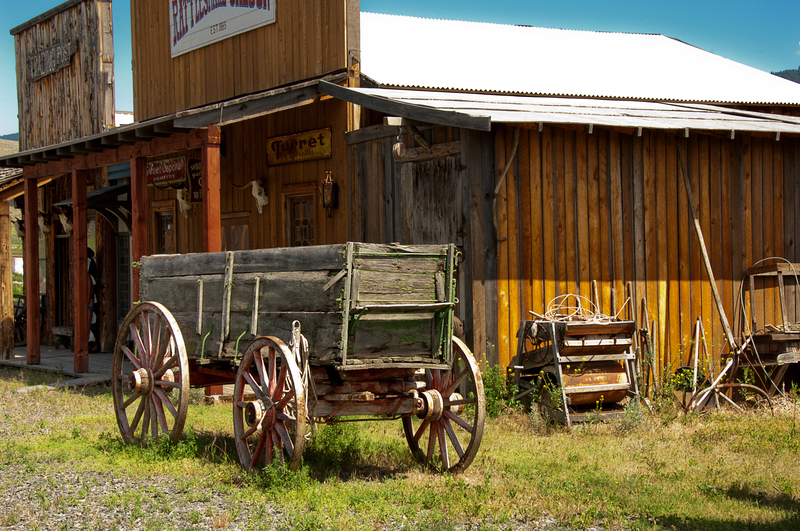 I was able to capture wide, picturesque images of a row of buildings with appropriate sagebrush and tumbleweed in front of, and around, rickety-looking old wagons, and even iron works close-ups on what I am sure were authentic mining carts. Those travelers of Highway 1 between Kamloops and Cache Creek might want to stop to cool off at the Juniper Beach Provincial Park nestled in a shady, treed spot along the river, and if the Skeetchestn Indian Band rodeo is in progress, that’s a neat event also. However, for me I know I’ll be taking the scenic drive again along the mighty, winding Thompson River to spend some time listening to Sandvoss’ stories and a whole bunch of time photographing Deadman Junction. 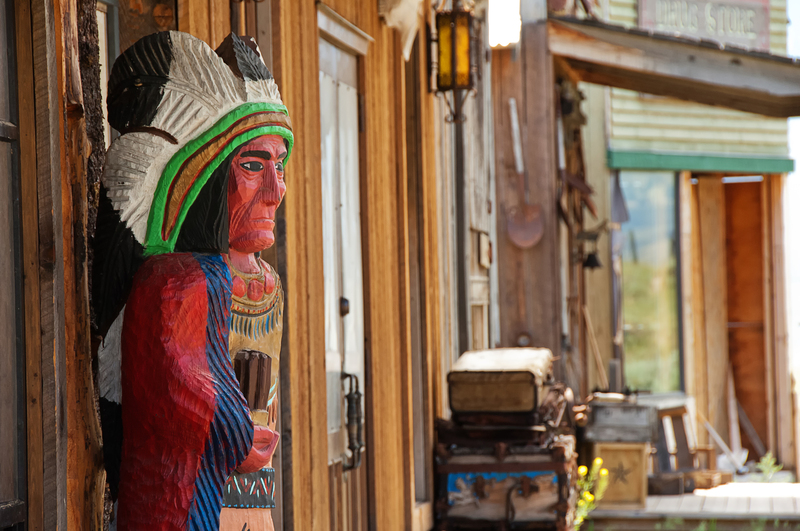 This entry was posted in Photography and tagged british columbia, Cache Creek, Deadman Junction, Deadman’s Creek, kamloops, Matt Sandvoss, movie set, photographs, Savona, Trans Canada highway, wild-west. Bookmark the permalink. Here’s a great find of John Enman’s not that far away from the Interlakes area. Wonderful find, John, and your photographs have captured it so well. Definitely a place to visit. Thanks for the pointer. Thank you for your comment Derek. I knew you’d like that place..Hey, maybe your next club outing. Thanks for sharing.. 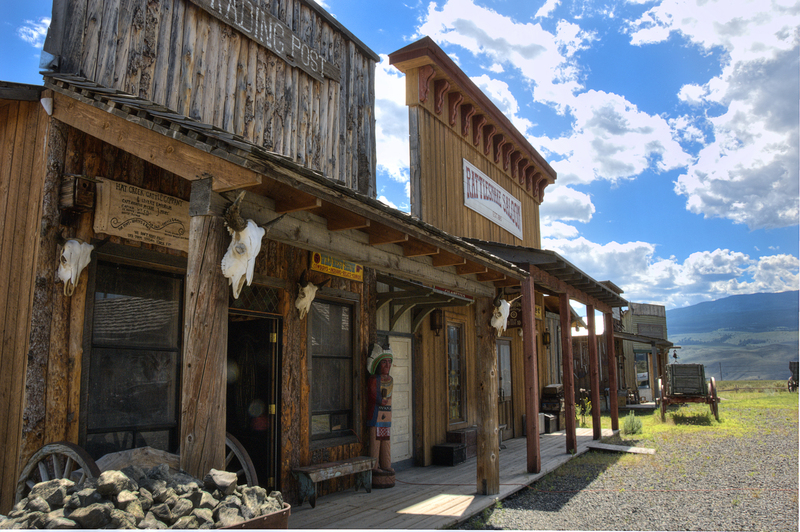 I have always wondered about the little wild west town on my drive by but never stopped as I thought it was only a movie set .. Thanks for shareing that it is open to the public..
Glad ya likes my pictures. There wasn’t a fence or anything when I was there. I am sure Mr. Sandvoss keeps an eye out and will show up if you casually walk around with yer camera. Great blog John, I didn’t know it was open. I will for sure go up there soon. glad ya liked it Sam. I’m thinking we might meetup sometime – and pick up Dave on the way. I always await your new posts with great anticipation. I made it to VIdette Lake resort on two occasions a few years ago. In fact my hubby and I stayed at the resort (old miner’s cabin), but I don’t remember this junction! I may very well have seen the sign and thought it was private property. I’m not a very bold photographer and I no doubt missed out on a few nice shots in the past because of that. Thanks for the tip and next time I’m in that area I will be sure to stop. Your photos are amazing as always. Thank you Diane. I am so pleased you like my photography and blogs. That kind of comment is so nice to receive. My wife and I overnighted some years ago at Vidette lake…a nice place and I got lots of pictures on that visit. (that was long before digital and I am now wondering what happened to all the slide film from that?). I am like you, and hesitate to trespass, but Deadman Junction is wide open – just pull over, take some pictures and make friends with Matt Sandvoss. Thanks again. Gosh, I am glad you enjoyed my blog on Deadman Junction Duncan. 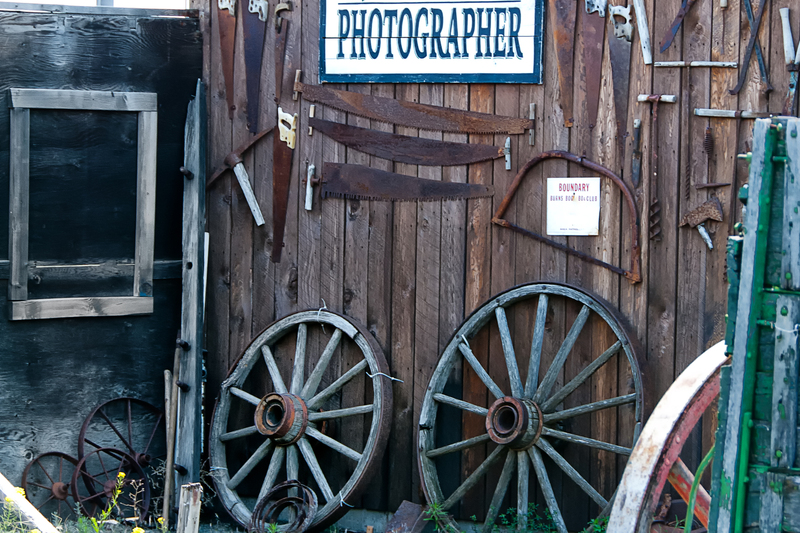 A photo trip thru the interior would certainly give your camera some new subjects. Good job John. I enjoy the pictures, was charmed by the story and happy that you invite us to explore this opportunity as well. How does a person get a hold of the individual who owns or has rights to this area.. I’m wanting to do a photo shoot for a cd cover and I’d like to have permission of could in order to have the shoot done at this location… please and thank if you know..
Have a wonderful rest of the day.. The owner is Matt Sandvoss. 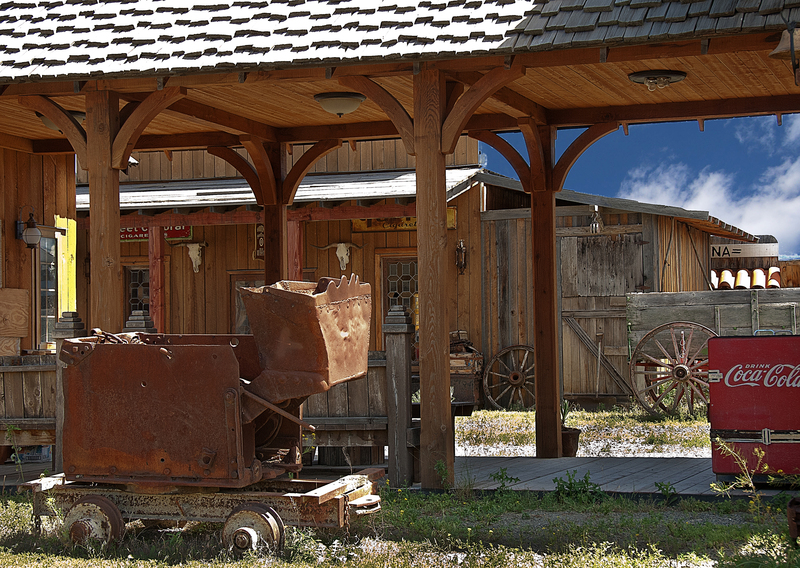 and the Deadman junction is in located near Savona, British Columbia. I couldn’t find a phone number, but there is a Facebook page for Matt Sandvoss, and I think you could try contacting him with that.